Ginkgo can boost cognitive function by promoting blood circulation in the brain. Ginkgo biloba is made of two compounds called glycosides and terpene lactones. These are responsible for ginkgo’s antioxidant activity as well as it’s supportive effects on blood circulation and nerve vitality. 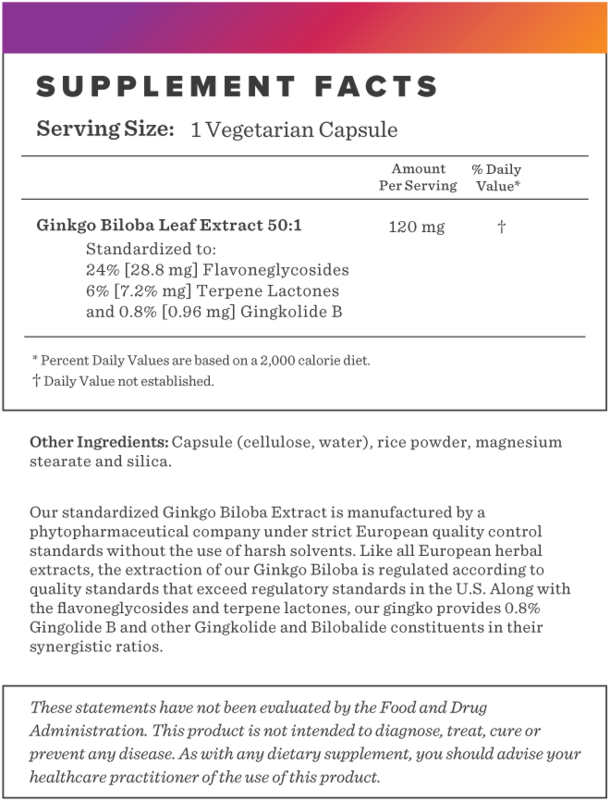 Our gingko is packaged in vegetarian-friendly capsule. Our Ginkgo Biloba extract contains 40 antioxidants that may support arterial blood flow, eye health, promote balance and improve skin pigmentation. 1. Droy-Lefaix MT. Effect of the antioxidant action of Ginkgo biloba extract (EGb 761) on aging and oxidative stress. Age (Omaha). 1997;20(3):141-9. 2. Kubota Y, Tanaka N, Kagota S, et al. Effects of Ginkgo biloba extract on blood pressure and vascular endothelial response by acetylcholine in spontaneously hypertensive rats. J Pharm Pharmacol. 2006;58(2):243-9. 3. Parsad D, Pandhi R, Juneja A. Effectiveness of oral Ginkgo biloba in treating limited, slowly spreading vitiligo. Clin Exp Dermatol. 2003;28(3):285-7. 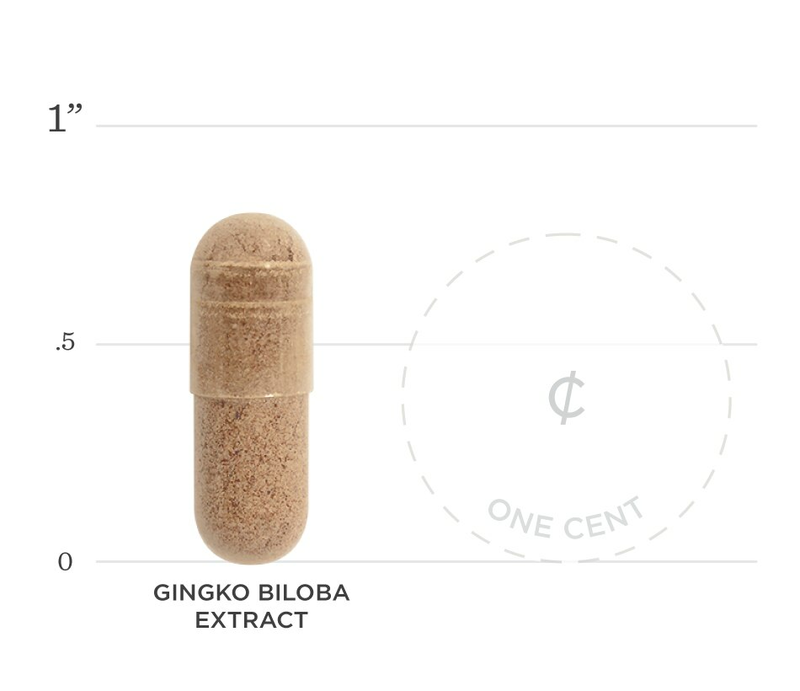 Below we've broken down the main functions of our Ginkgo Biloba Extract and the benefits it can provide. Research has shown that ginkgo works as a free radical scavenger that may reduce help to oxidative damage. Ginkgo has been shown to promote blood circulation to the brain and may help promote cognitive function. Oxidative stress has shown to play a role in the progression of the skin problems. Studies have shown that ginkgo may help reduce oxidative stress.